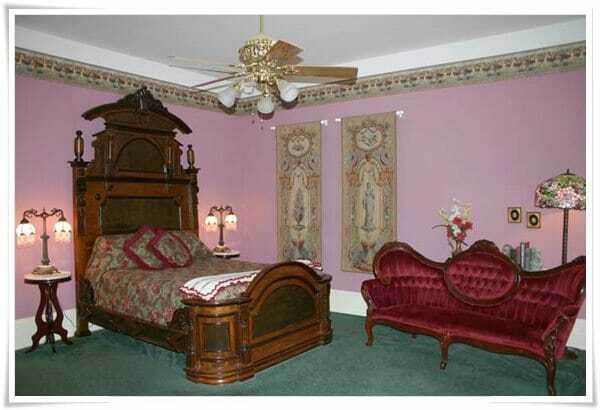 This mauve-colored room is highlighted with a breathtaking, 9-1/2 foot tall Victorian Renaissance-style queen-size bedroom suite. The adjoining private bath features an antique claw-foot-tub/shower combination. Breakfast not included, but coffee, microwave and refrigerator are provided in room.